Recently, a friend confessed to experiencing cancer awareness month fatigue. For weeks now, her Facebook newsfeed and Twitter updates were filled with one cancer reminder after the other. She felt completely overwhelmed by the sheer quantity of cancers and bombarded by the amount of related information. Given my field of work, she felt guilty about even raising the issue, but she felt compelled to ask me: "Tell me the truth, Kim. Does it make a difference? Does it actually help?" I completely understand this question and can't blame my friend for how she feels. The fall is a particularly busy time of year. September, October and November raise awareness for 15 different cancers as compared to 14 during the entire rest of the year. September alone features 8 cancers. The Cancer Support Community ("CSC") works with people with cancer and their loved ones, regardless of their diagnosis and so we participate in awareness efforts for all cancers throughout the year. Without doubt, the fall is hectic and it can be a challenge to give each cancer special attention but I can say without reservation that it is worth it. Awareness months do make a difference and they should not be abandoned. Like a birthday or anniversary, having a time set aside during the calendar year gives some assurance that the disease in question will receive attention. Media will produce stories about it. Books may be released in conjunction with it. Groups will organize events for support as well as fundraising for research towards a cure. It's perhaps an opportunity to remember to schedule a doctor's appointment or take possibly preventive actions (think sunscreen with effective SPF) or highlight little known signs and symptoms. At its core, awareness months have as their goal bringing attention to a particular cancer--sometimes its very existence such as male breast cancer-- by providing information on the disease and shedding light on the specific challenges it presents. It lets impacted people learn about available health and support services and how to access them. This is all the more important for rare, overlooked cancers or ones that people are generally uncomfortable discussing (think gynecological cancers). Awareness months, and the ribbons used in conjunction with them, are not without controversy. In particular, there is concern that serious medical conditions have been commercialized. 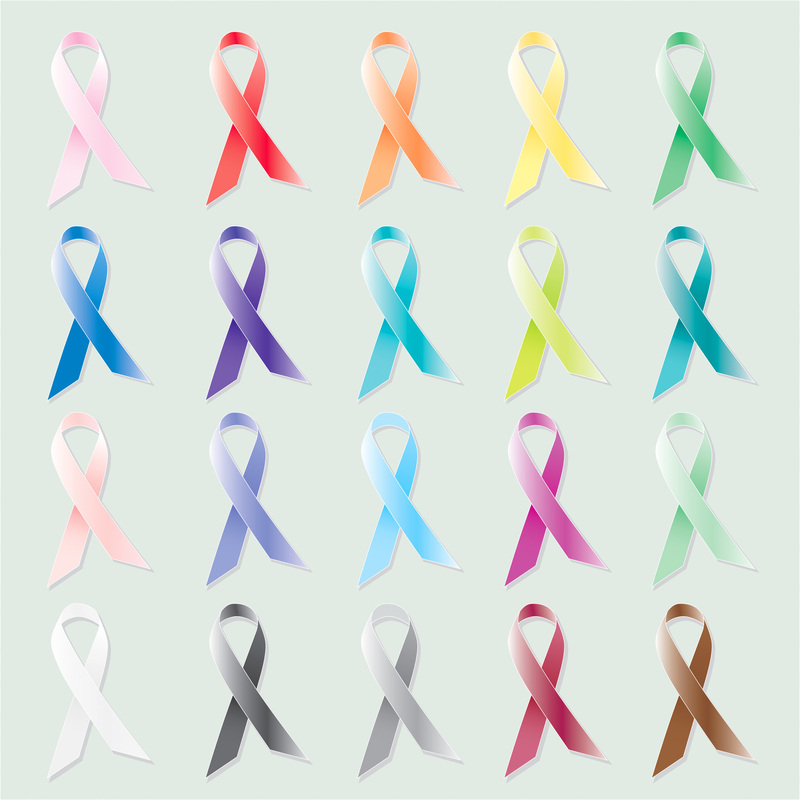 There's a very heartfelt and articulate piece by Nancy Stordahl which lays out some good arguments and concerns about the well known pink ribbon. In her piece, she challenges us to name any other color ribbon associated with a cancer. I agree with her that most people probably couldn't name one. And yet, when we see the unfamiliar dark blue ribbon (colon cancer) or green ribbon (adrenal cancer), doesn't it invite the question and subsequent conversation? The other big question is whether or not awareness months have had any impact on lives saved. It is difficult to quantify that. Early detection can raise the number of people diagnosed with a cancer and yet, because they are diagnosed earlier, possibly their survival rate is better. -	Approximately 1 in 5 participants in our CER are seriously or very seriously concerned about feeling lonely or isolated. -	1 in 4 metastatic breast cancer CER participants indicate that "I am alone" often or always. We know that distress in cancer patients is a highly prevalent and significant problem with incidence rates at all phases of the illness estimated at 35-55%. Approximately 35% will experience persistent clinically significant distress such as anxiety and depression, adjustment disorders, fears about cancer recurrence, and post-traumatic stress reactions that for some will worsen over time. We know that reaching out for help and support makes a difference. Professionally-led psychosocial support interventions have shown substantial efficacy in reducing emotional distress for cancer patients leading to improved coping, cognitive and emotional outcomes and improvement in quality of life, particularly for those patients with high levels of distress. Studies have found that 30-50% of cancer patients could benefit from evidence-based psychosocial support. Yet, in the United States, fewer than 10% of cancer patients ever access such supportive services. I come from a large family. Certainly there are times when the birthdays seem to be coming up one after the other, intermingled with holidays and other family celebrations. But we still pause for each birthday. We let each family member know, on that special day set aside just for them, that they are loved and appreciated. All of us at CSC firmly believe these feelings are something that no one should have to go through alone. We believe that people impacted by cancer, or any serious illness, are empowered by knowledge, strengthened by action and sustained by community. Awareness months may not be perfect, but they do make a difference.